Still looking for a last minute Christmas gift? Make up a little gift certificate with a promise to take a friend to a show in the new year. 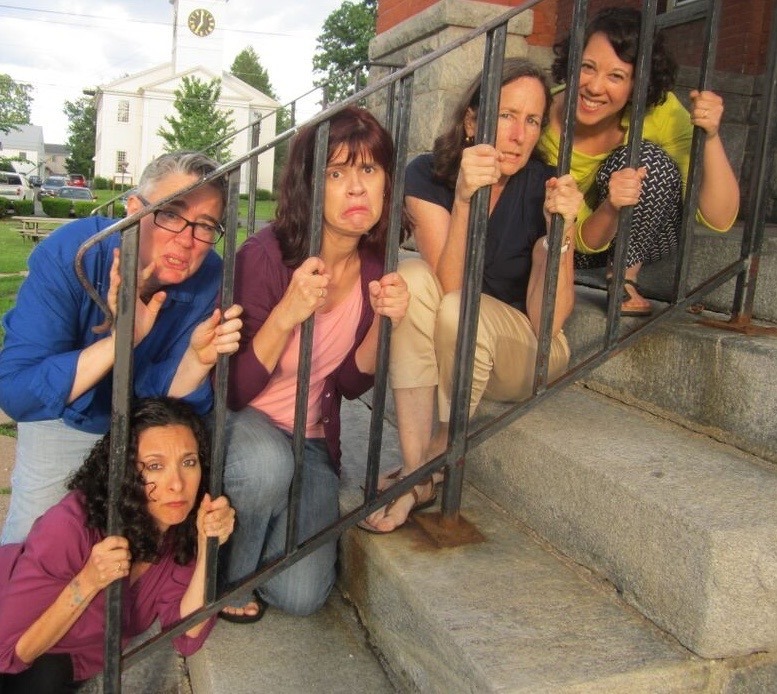 Support local live theatre and get to hang out with your favorite people at the same time! So, You Want to Build A Theatre? From the article: Theatre can happen anywhere, but it usually happens in theatres. This is both a burden and a boon. In Boston, where I live, it’s very much a burden. Despite condos mushrooming across town at a record rate, theatres are closing; workspace is limited; and artists are being pushed out of the city. It’s a once-in-a-generation urban boom, but the performing arts aren’t part of it. 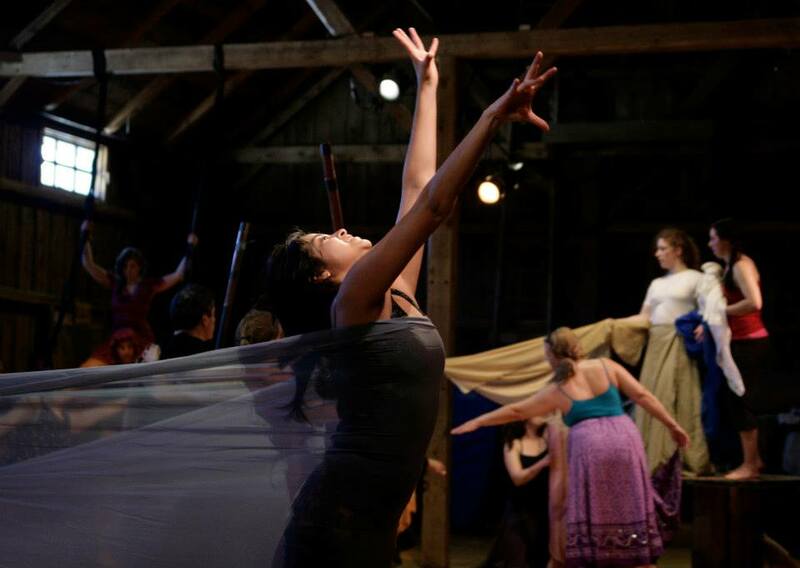 Urban spaces across the country are growing as quickly as Boston, and it is critical that theatremakers create space for themselves during this historic transition. Monthly comedy show featuring improv comedians The Ha-Ha's in "The Buckingham" with special guests Scott Braidman & Mosie McNally. 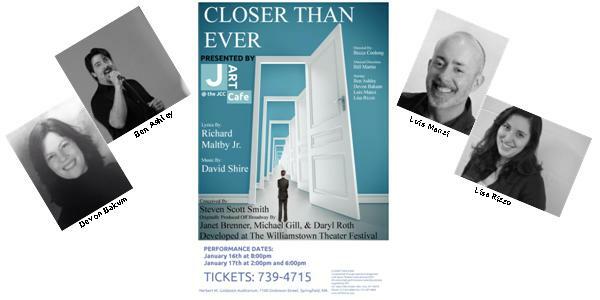 Starring Ben Ashley, Devon Bakum, Luis Manzi, and Lisa Rizzo, featuring Bill Martin, and Directed by Becca Coolong, Closer Than Ever is a nonstop exploration of everyday struggles in the "modern world." Topics ranging from unrequited adoration... to aging... to Muzak are tackled with resounding sincerity and precisely placed hilarity. Each song is a unique story told by a new character taking audiences not only into the songbook of Richard Maltby and David Shire, but into the minds of the individuals facing these completely universal challenges. On Saturday, January 16, J-ART at the Springfield JCC raises the curtain on a new theater-going experience, J-ART Café. 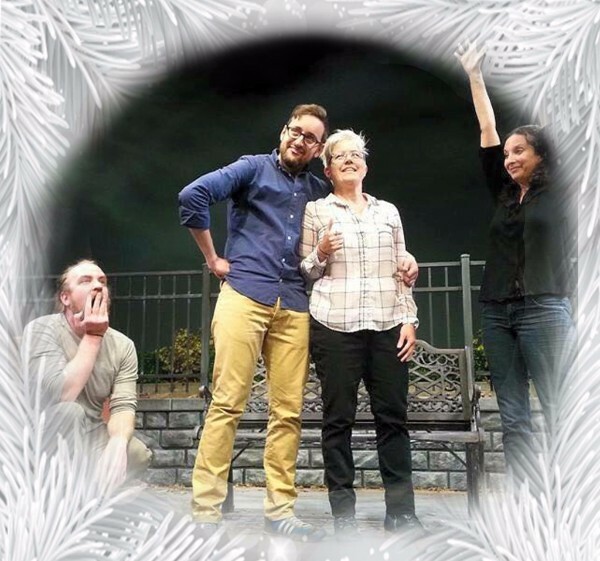 By offering short run productions that feature performance opportunities for all age groups, the JCC is opening its doors for more opportunities for area performers as well as more opportunities to present lesser known works. Made to order pizzas and desserts will be available at each performance. Tickets are on sale now and can be purchased by calling (413) 739-4715, or by visiting the front desk at the Springfield JCC. More information online. 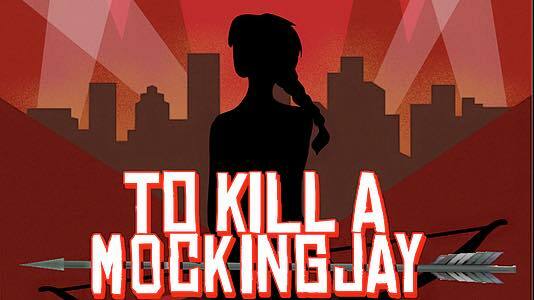 Wet Paint Theatre will be holding auditions for its first show, "To Kill a MockingJay" a musical parody of "The Hunger Games," on January 2nd, 2016 from 4-6PM and January 4th, 2016, from 4:30-5:30PM at The Drama Studio in Springfield. If you're interested in auditions, please message us on Facebook or contact Dan Kelly at 413-427-4280 to sign up for a 20 minute slot. Due to content of the show, auditions are for ages 13+. 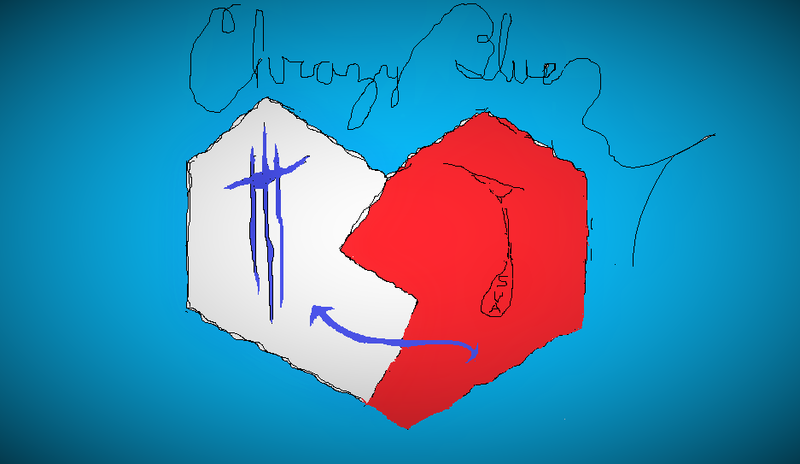 The show will be performed at The Drama Studio on March 18-20, 2016. Valley Light Opera is seeking nominations and applications for the artistic/stage director for our 42nd annual production, the Gilbert and Sullivan operetta Ruddigore. Ruddigore is to be performed at the Academy of Music Theatre on two weekends in early November 2016. The VLO stage and music directors work closely with one another and with the production team to achieve the high caliber results commensurate with VLO's distinguished history. • Creates overall artistic concept of the show. • Works with set and costume designers, the choreographer, music director, and technical staff to carry out the concept. • Rehearses principals and chorus in dialogue, acting, blocking, and dancing. Please note that all participants in VLO are volunteers, including all producers, directors, performers and crews. Nominations are also encouraged and may be submitted to the same email address, director@vlo.org. Applicants who are unfamiliar with VLO are encouraged to explore our website. We are giving applicants a little extra time to apply, in light of the holiday season. Applications will be reviewed as they arrive, starting immediately, and will be accepted until January 15, 2016. Finalists may be invited to make a presentation to the VLO board after that date. Drama, music, and dance are a part of this historic script and we request that you bring a piece of music you wish to showcase your talents during the try-outs and allow time for reading a portion of the script. Questions: Please call: Cindi @ #413-967-3887. With the arrival of the Industrial Revolution, the center of commerce shiftedto the factory village where it exists today. The upper dam of the Ware River was built in 1824 to run the manufacturing complex. Ware was home to three major manufacturers: Otis, Stevens and the Gilbert companies, who were noted for their production of textiles, clothing and shoes. Their demand for labor brought numerous immigrant families, primarily French, Irish and Polish, to this rich job market. By the early 20th century the Ware mills employed almost 6,000 people. Pete's Angel is a touching story about a middle-aged veteran whose soulmate passes away from breast cancer. Ruthann's love for Pete is so deep that after crossing through to the other side she refuses to move on until she rescues Both Peter and their daughter Becky from the depths of their own personal hades. This hell was created with the death of Pete's Angel. Ruthann was the rock of her family and a major reason Pete survived after he was discharged medically from The United States Army. This story explores the question, "what happens after we die?" Could it be that one's unfinished business is simply helping those left behind return to the light? How can we move on after being torn apart by the loss of a loved one? Hampshire Shakespeare now hiring 2016 directors! 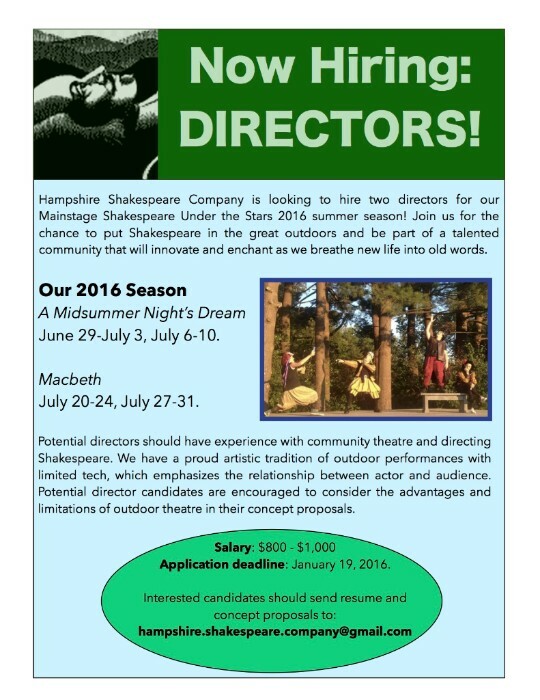 Hampshire Shakespeare Company is looking to hire two directors for our Mainstage Shakespeare Under the Stars 2016 summer season! Join us for the chance to put Shakespeare in the great outdoors and be part of a talented community that will innovate and enchant as we breathe new life into old words. June 29-July 3, July 6-10. Potential directors should have experience with community theatre and directing Shakespeare. We have a proud artistic tradition of outdoor performances with limited tech, which emphasizes the relationship between actor and audience. Potential director candidates are encouraged to consider the advantages and limitations of outdoor theatre in their concept proposals. Application deadline: January 19, 2016. Interested candidates should email resume and concept proposals.